The mission of the Fair Lawn Police Department is to provide quality service based upon high ethical and professional standards attained through a sincere commitment to public service. We recognize that we are the most visible and accessible of all government services and will work to maintain the quality of life in our community. We, the members of the Fair Lawn Police Department, empowered by the community with the unique authority to take police action, are committed to protecting the lives, property, and rights of all people: the prevention of crime; the preservation of peace; and the impartial enforcement of laws and ordinances. Every person in this department, from the Chief to the newest hire, will embody and use these values in both their professional and private life to guide them to reach our mission. 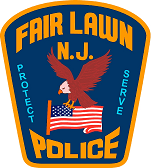 Leadership – We believe that the Fair Lawn Police Department should be a leader in law enforcement. We also believe that each individual needs to be a leader in their area of responsibility. Therefore, all of us need to lead by example by taking responsibility for our actions and working together with all department members to solve community problems. Integrity – We will demonstrate the courage to stand up for our beliefs and do what is right. Our actions will match our words. This will be accomplished by gaining trust of others through honest, consistent, and forthright interaction with all people. Respect – All members of this department will treat each other with dignity and courtesy regardless of position or assignment. This will also hold true for the community we serve. By demonstrating respect for others, we will earn the respect of our community. Professionalism – This is accomplished by ensuring that our members are highly trained and promote a collaborative environment for sharing information, resources, assistance and expertise. Compassion – We must be sincere to the need of those who are concerned for their safety, require guidance and information, or are unable to provide for themselves. We will show concern and empathy for the victims of crime and treat violators of the law with fairness and dignity. Service – We will work in partnership with the people in our community and do our best, within the law, to solve community problems that effect public safety. We will do this in an efficient and competent manner, tempered with courtesy, compassion and understanding. We gratefully acknowledge the invaluable help of the following members of the Fair Lawn Police Department family: The late Chief Louis Risacher(ret. ); Deputy Chief (ret.) Vincent DiPentima; The late Captain (ret.) Robert and Marie Gajarski; Capt. (ret.) Christopher Freitag; Detective Captain (ret.) Anthony Serrao, the late Lieutenant Nicholas Vanore, Detective Lieutenant (ret.) Robert Boogertman, Detective (ret.) Roger Rysz, Officer (ret.) Michael “Mike the Cop” Dudziak, Mrs. Ella Hoeffner (widow of retired/Dec. officer John Hoeffner), Ms. Patty Hoyt (granddaughter of retired/Dec. officer John Postma), and Toby Van Buren (nephew of the late officer Milton Capwell). Prior to 1924, Fair Lawn was part of the Saddle River Township. The area was policed by constables, who were elected by the people. 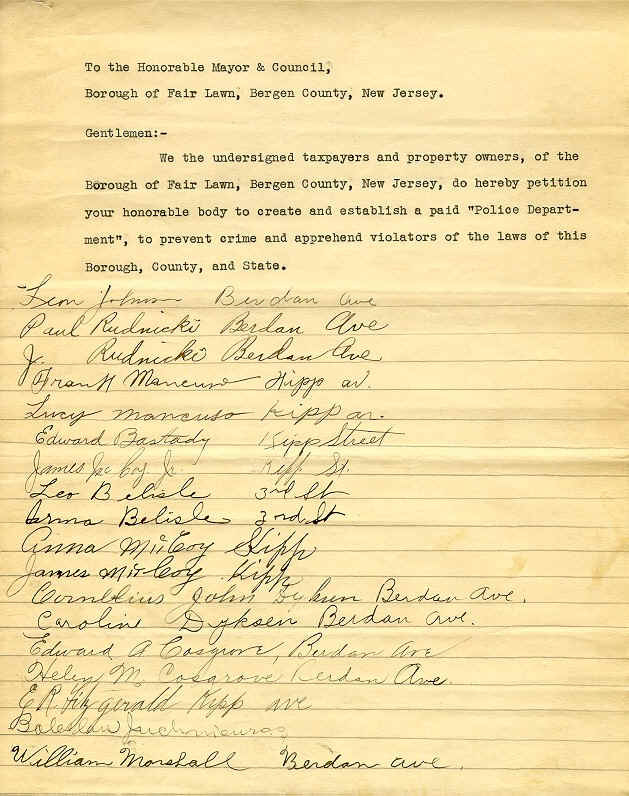 In 1921, the constables were appointed by the Township Committee. The Borough of Fair Lawn was incorporated on April 5, 1924 and at an organizational meeting held on June 2, 1924, The Borough Council appointed Michael Vanore as “Chief Marshal” and four subordinate Marshals who were part-time, hourly, on call employees. The Marshals were assigned to traffic duty on Sundays and holidays and sometimes patrolled at night. Travel was by foot, Erie Railroad, or by the Hudson River Trolley (which ran from Paterson to the Hudson River along what is today Broadway and South Broadway). The Bergen Avenue School was used as a makeshift police headquarters. In 1928, development of the Radburn section began and special police, paid for by the corporation, was hired to handle the large crowds coming from all over to see the “Town of the Motor Age”. 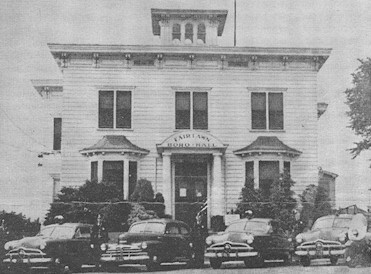 In 1929, the Borough purchased the Acker estate (called Fair Lawn) and renovated it for Borough Hall and police headquarters. This building stood where the Fair Lawn Senior Citizen’s Center is today. This Borough Hall was used until 1962, when the Borough moved into the current municipal building. The residents petitioned the Borough Council to establish a full time, paid police force. The petition is 22 pages long and contains 316 signatures. So, in 1930, the FLPD was born. 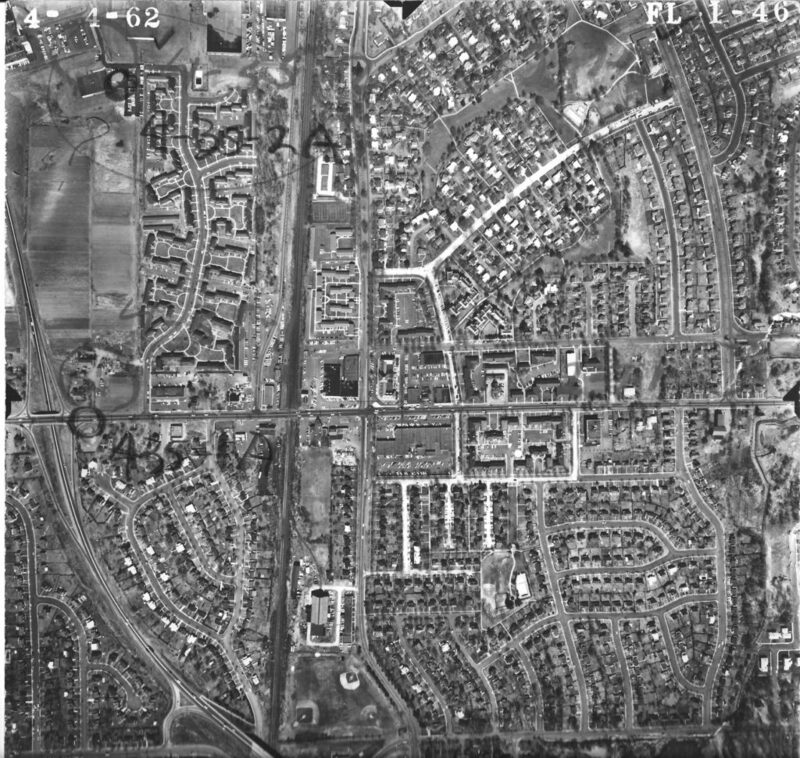 The 1930 U.S. Census showed Fair Lawn with a total population of 5,590. Chief Marshall, Mike Vanore, was appointed as Fair Lawn’s first Chief of Police on September 1, 1930. 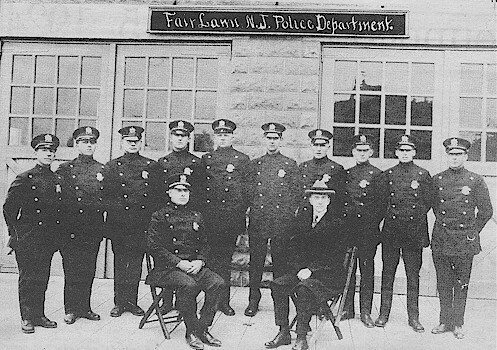 On October 1, 1930, Elijah Duddleston, Emil DeWilde, and William Grunstra were appointed as Fair Lawn’s first Police Officers. 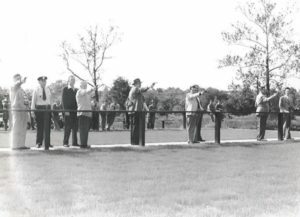 The first two traffic lights were installed; one at Fair Lawn Avenue and River Road, and the other at Maple Avenue and River Road. 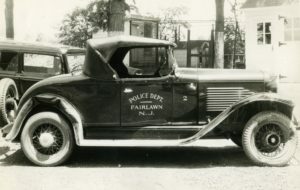 In 1931, the Borough purchased its first police car. Prior to that, the officers used their own cars for patrol. The officers communicated to headquarters by way of “call boxes” scattered throughout the Borough. 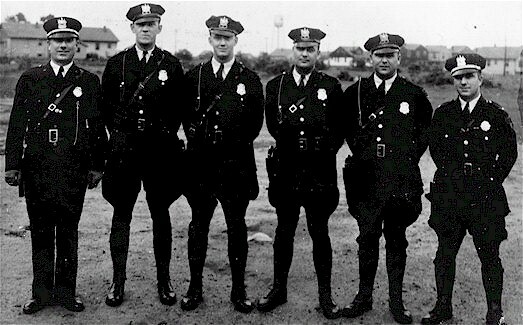 In 1932, two more officers were hired. 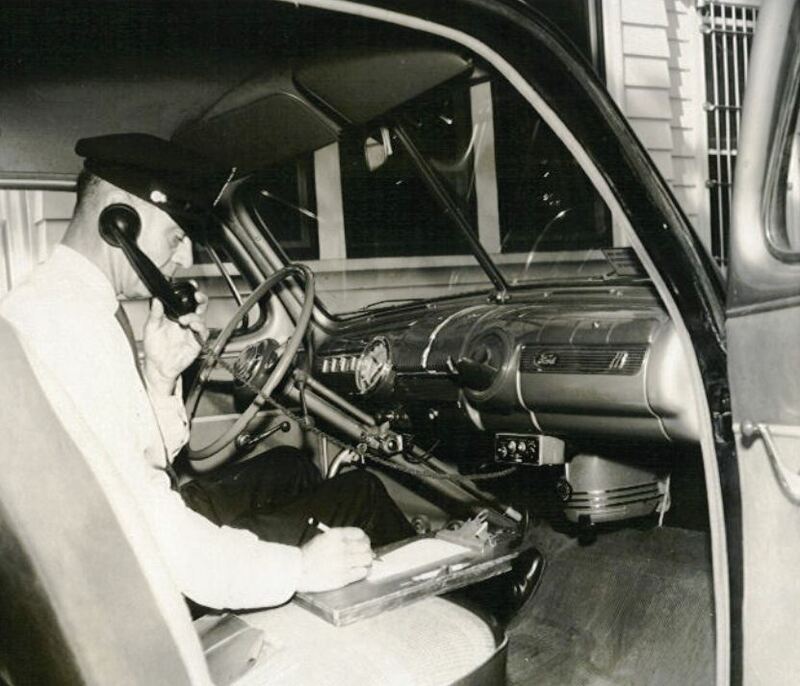 In 1933, a County Police one way radio system was installed in headquarters and in the police car. In 1934, three more officers were hired and an additional 1934 Willy’s Night Roadster additional car was purchased. 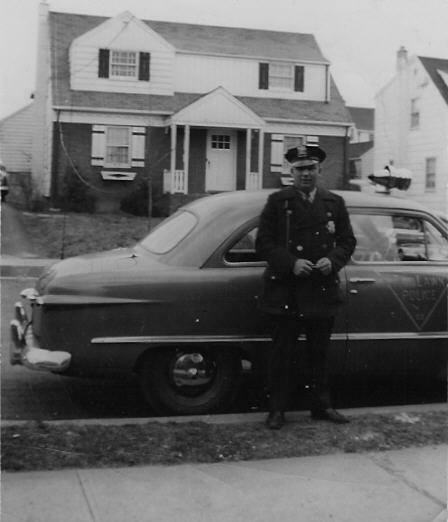 January 1, 1941 – Chief Michel Vanore is elected President of the Bergen County Police Chief’s Association. In 1943, the police department purchased its own two-way radio system and formed the Detective Bureau. The second range is where Memorial Middle School is today, and the original range was on River Road near where Tanis Concrete is today. 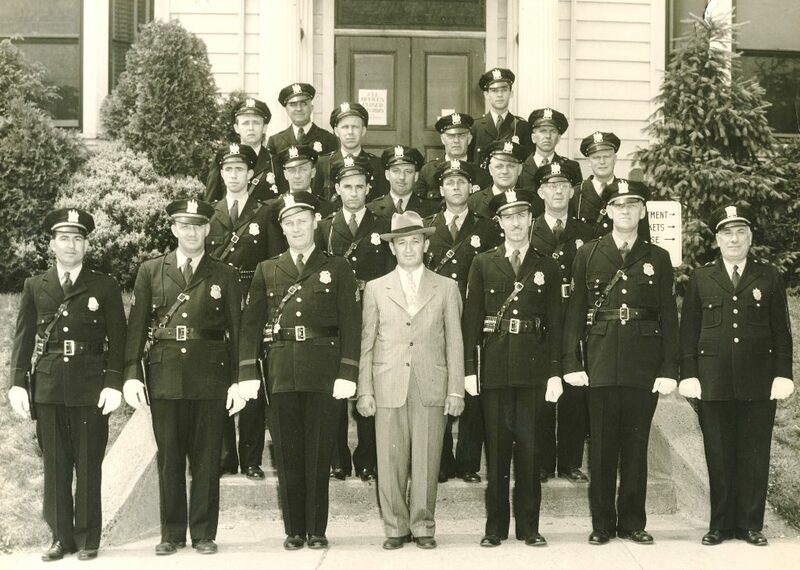 In 1948, the department grows to 21 officers. June 7, 1954 – Officer Vincent Di Pentima used the department’s first 3-wheeled motorcycle. It was used for parking enforcement and crowd control. Police Chief Michael Vanore remained Police Chief until his death in 1955. On February 1, 1956, Louis J. Risacher, who was appointed to the force on December 23, 1938, became Fair Lawn’s second Chief of Police. He remained as Chief until his retirement from the department on October 1, 1979. In 1938, when Chief Risacher was appointed as a patrol officer, the starting salary (for full time work) was $1,600.00 per year (about 60 cents per hour). In May 1963, New York City Police Department Detective John Keeney, who was mistakenly believed to be a Jewish war veteran, was beaten during a riot between the Jewish War Veterans and the Neo-Nazi Renaissance Party in New York. Det. 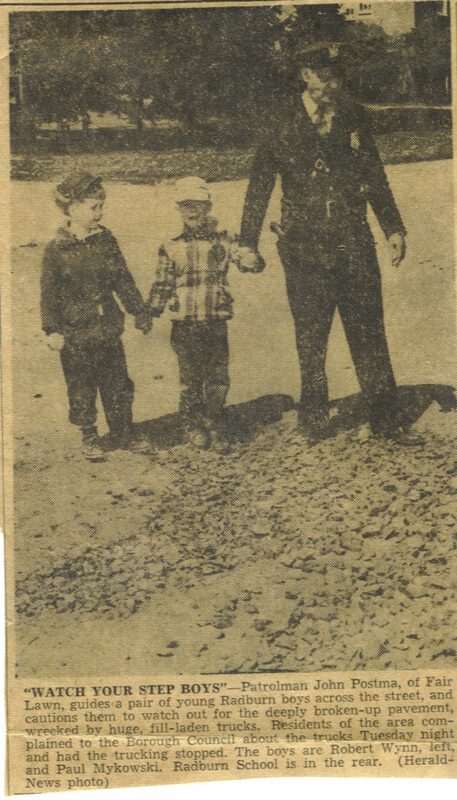 Keeney was quoted in the paper as saying he, “… was honored to be thought of as a Jewish war veteran, even though he is Irish and a member of the Catholic war veterans”. When Fair Lawn Post #651 of the Jewish War Veterans read Det. Keeney’s comments in the newspaper, Post #651 unanimously passed a resolution making him the first honorary member. 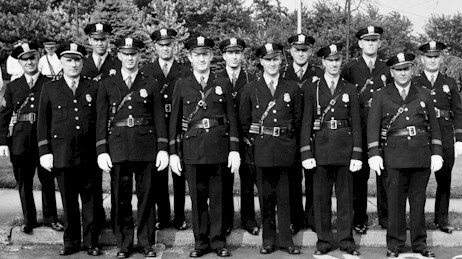 As of January 1, 1964, the Fair Lawn Police Department had a sworn strength of 43 officers. Under Chief Risacher there were 3 Lieutenants, 7 Sergeants, and 32 police officers. All of the officers lived in Fair Lawn. The salary range for a new patrol officer was $5200 – $7000 per year ($2.50 – $3.36 per hour). 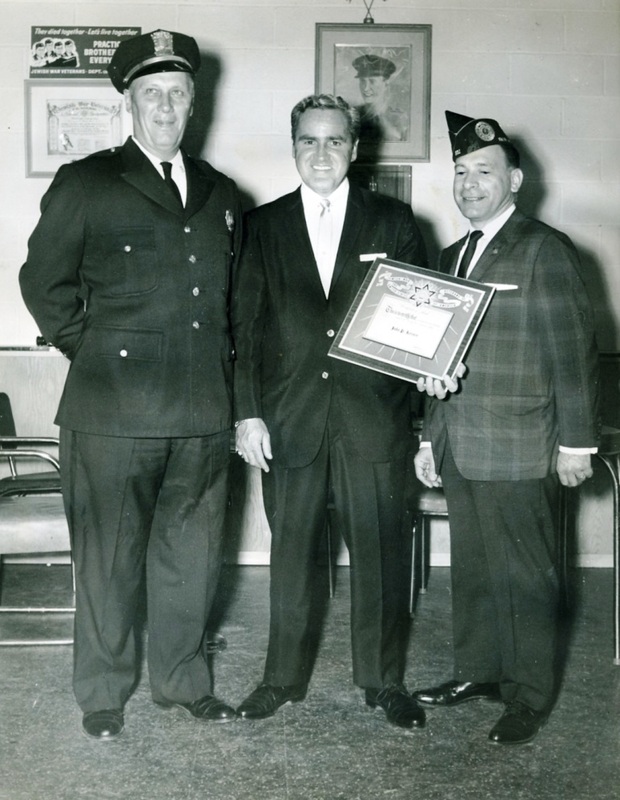 January 1, 1966 – Chief Louis Risacher is elected President of the Bergen County Police Chief’s Association. 1973 – Lieutenant Vince DiPentima was the “Top Shot in the County”. 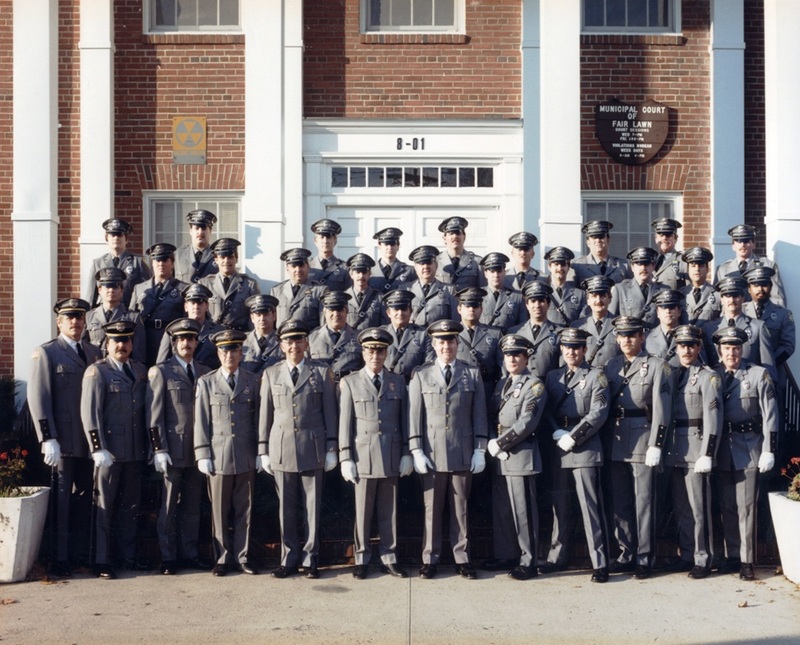 October 28, 1976 – Bruce Raymond is sworn is as Fair Lawn’s 50th Police Officer. April 1977 – Lieutenant Nicholas Vanore retires. November 29, 1979 – Capt. Robert Van Houten was appointed as Chief of the Fair Lawn Police Department. He started his career with the department on November 1, 1950. He worked his way through the ranks being promoted to Sergeant in 1964, Lieutenant in 1972, and Captain in 1977. Chief Van Houten retired from the department July 1, 1987. 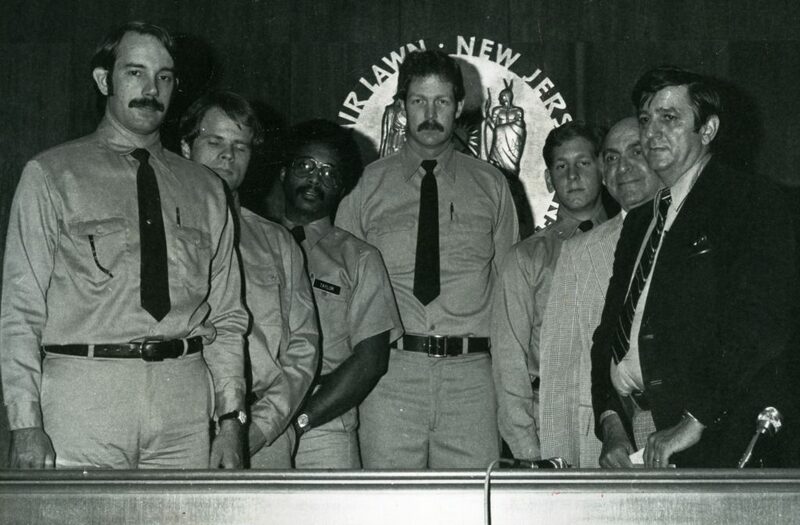 September 4, 1980 – Officers Joseph Salemi, Robert Boyle, Hiram Taylor, Richard McWalters and Anthony Serrao are sworn is as Fair Lawn’s newest police officers. August 27, 1981 – Sergeant Christopher Freitag and Sergeant Warren Steenland are promoted to Lieutenant. August 27, 1981 – Police officers Bruce Raymond, George Macys, and James Motto are promoted to Sergeant. June 30, 1987, Chief Robert Van Houten retires after serving the F.L.P.D. for 37 years. July 1, 1987 – Capt. Richard Polhemus was appointed as Chief of the Fair Lawn Police Department. He started his career with the department on July 1, 1960. He worked his way through the ranks being promoted to Sergeant in 1964, Lieutenant in 1977, and Captain in 1980. Chief Polhemus retired from the department July 1, 1990. July 1, 1990 – Capt. William Gormanns was appointed as Chief of the Fair Lawn Police Department. He started his career with the department on December 2, 1965. He worked his way through the ranks being promoted to Sergeant in 1973, Lieutenant in 1977, and Captain in 1980. Chief Gormanns retired from the department December 31, 1997. 1998 – The Fair Lawn Police Department “Cyber Precinct” is launched. Created and maintained by Lt. Joseph Cook. On May 21, 1999, Captain Rodman D. Marshall was sworn in as Fair Lawn’s 5th Chief of Police. Chief Marshall had been Acting Chief since January 1, 1999. He started his career with the department on February 28, 1979. He worked his way through the ranks being promoted to Sergeant in 1985, Lieutenant in 1987, and Captain in 1996. Also promoted were Anthony Serrao to Captain, Joseph Cook to Lieutenant, and Richard Schultz to Sergeant. Chief Marshall retired from the on department March 1, 2004. With the successful applications for funding under the “COPS Office” in Washington D.C., additional officers were hired to supplement the department, specifically to further and expand the Department’s Community Policing initiatives. Though the authorized strength of the department was 53 sworn officers. By August 1999, the Department had 57 sworn officers on it’s roster. The population of the Borough was 30,538. On January 1, 2000, the officers of the FLPD said goodbye to their gray uniforms as the department underwent a uniform change. The gray uniforms, used since 1971, were be changed to blue. The new uniform consists of Navy blue pants with a gold stripe down the leg and French blue shirts. The dress blouse is French blue. Officers holding the rank of Lieutenant, Captain, or Chief will wear white shirts. Patrol officers and Sergeants wear French blue shirts. The patch was also changed. Additionally, a small patch will be worn on the collars of the patrol officers’ and Sergeants’ shirts, replacing the metal F.L.P.D.’s. Supervisors with the rank of Lieutenant and above will still wear metal rank insignias on their collars. With retirements and resignations, on February 10, 2000, the department hired 4 additional officers (James Corcoran, Gerard Graziano, James Krizek, and John LaDuca), bringing the size of the force to 58 sworn officers. On February 14, 2000, Capt. Walter Sudol was reassigned as Commander of the Operations Division and Capt. Anthony Serrao was reassigned as Commander of the Administrative Division. On August 1, 2000, the Millennium Edition of the Fair Lawn Cop Cards became available. There were 60 cards in the new set. The first half of 2001 was very busy for the F.L.P.D. The department re-organized, moving the Detective Bureau from the Operations Division to the Administrative Division. P.O. John Ietto and P.O. David Boone were re-assigned to the Detective Bureau. Det. Ietto will be heading up the newly formed Burglary Squad and Det. Boone will be doing general investigations. Det/Lt. Raymond was reassigned to the Chief’s Office on a special assignment. Sgt. Messina was re-assigned to the Detective Bureau as a supervisor. P.O. Glen Cauwels was promoted to Sergeant and was assigned as a Patrol Supervisor. The just released 2000 census showed Fair Lawn with a population of 31,637 residents. In July 2001, Officer Sara Toro and Officer Joseph Dawicki were sworn in as Fair Lawn’s newest officers. Additionally, Sgt. Richard Schultz was reassigned from Community Policing to patrol and Sgt. Robert Boyle was reassigned from patrol to Community Policing. On August 1, 2002, the Fair Lawn Police Department hired Officer Michael O’Brien through the New Jersey Intergovernmental Transfer Program. Officer O’Brien had previously worked for the Kean University Police. With Officer O’Brien, the force had 56 officers. On March 18, 2003, Det/Sgt. Robert Kneer was promoted to Lieutenant and was re-assigned to the Patrol Division. Officer John Annazone was promoted to Sergeant. Sergeant Doug Helmers was reassigned as a Detective Sergeant to the Detective Bureau. Lieutenant Erik Rose was reassigned to the Detective Bureau and was given the responsibility of strategic planning for the department. During April 2003, new firearms were purchased for the department. The new .40 caliber P-226 Sig-Sauer handguns replaced the 10 year old Sig-Sauer 9mm handguns. 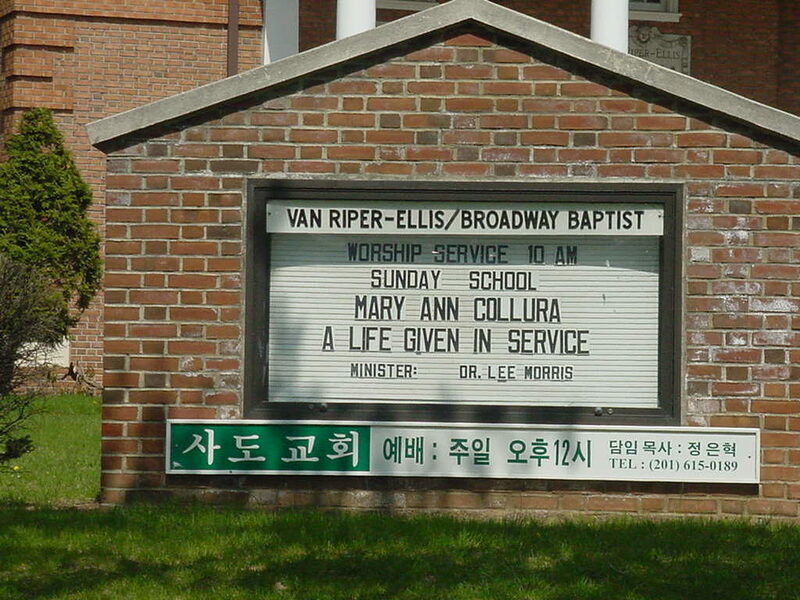 On April 17, 2003, Officer Mary Ann Collura was shot and killed by a suspect she was trying to arrest on Morlot Avenue with Clifton PD Officer Steven Farrell. 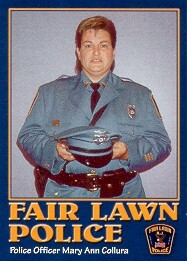 She was Fair Lawn’s first female police officer and is deeply missed by the department. Her murderer was killed in a shootout with police in Florida 3 days later. On April 30, 2003, the Fair Lawn Police Department hired Officer Ian Manelis through the New Jersey Intergovernmental Transfer Program. Officer Manelis had previously worked for the Passaic Police Department. With Lt. Bruce Raymond retiring, Officer Manelis brought the force to 55 officers. During May 2003, the Fair Lawn Police Department began enhancing their technology. NCIC 2000 was added to the Communications Center and a “live scan” fingerprint system was installed. This new fingerprint system “scans” the person’s fingerprints similar to a computer scanner. Live scan technology replaces traditional ink-on-paper fingerprints by scanning the prints of a person’s fingers electronically. The live scan system then allows for the prints (in digital format) to be rapidly forwarded to the appropriate national and state law enforcement databases for criminal background checking. This has proven to significantly speed up this process, reducing the time necessary from days to minutes. 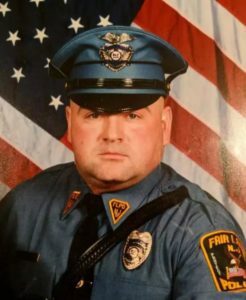 On June 11, 2003, the Fair Lawn Police Department hired Officer Kevin Wood through the New Jersey Intergovernmental Transfer Program. Officer Wood had previously worked for the Paterson Police Department. Officer Wood brought the force to 57 officers. In August 2003, the department installed laptop computers and “Info Cop” in the police cars. Info-Cop is a software technology that provides law enforcement officers real-time access to local, state, and federal crime databases via wireless in-car laptops and wireless hand-held PDA’s. These laptops allow the officers check driver’s licenses, registrations, wants and warrants, property for stolen, etc. right from the vehicle. It also allows officers to communicate with headquarters without using a radio. In the future, it is expected that officers will be able to use the laptops to complete reports in the car and send them electronically to headquarters. For the unmarked cars, the small “PDA” type devices have been purchased. These devices have the same capabilities as the laptops, but in a smaller, handheld version. On October 28, 2003, Lt. Erik Rose was promoted to Captain and was assigned as the Acting Chief of Police. Chief Marshall had announced his retirement effective March 1, 2004 and will be utilizing accrued time until his retirement date. From January 2004 – March 2004, Captain Anthony Serrao attended the prestigious Federal Bureau of Investigation’s National Academy in Quantico, Virginia. The “NA” is one of the premier law enforcement training classes available. On February 2, 2004, Paul J. Donahue and Stanislav Tovbin, both of Fair Lawn, were sworn in as Fair Lawn’s newest police officers. These officers were hired to replace officers that will be retiring later in 2004. With the hiring of these two officers, the force had 59 officers. On May 25, 2004, Captain Erik W. Rose was sworn in as Fair Lawn’s 6th Chief of Police. Chief Rose had been Acting Chief since October 2003. He started his career with the department on March 10, 1983. He worked his way through the ranks being promoted to Sergeant in 1988, Lieutenant in 1997, and Captain in 2003. Also promoted were Lieutenant Joseph Cook to Captain, Sergeant Glen Cauwels to Lieutenant, and Police Officer Ronald Patterson to Sergeant. On July 23, 2004, Eric Leitman, Luis Vasquez, and Christopher Chan, all of Fair Lawn, were sworn in as Fair Lawn’s newest police officers. These officers were hired to replace officers that would be retiring later in 2004. With the hiring of these officers, the force had 58 officers. In September 2004, six new Ford police cars were put into service. These cars signaled a return to the traditional “black and white” police cars. On October 12, 2004, Sgt. Richard Goetz was promoted to Lieutenant and officers Derek Bastinck and Brian Metzler were promoted to Sergeant. Lt. William Yirce and Officer James Corcoran were assigned to the Detective Bureau. During the October 2004 budget hearings, Chief Erik Rose requested 6 additional police officers. As a result of his request, the Mayor and Council agreed to add 2 additional officers to the department. This is the first time since the 1980’s that the department increased in size, absent a Federal grant. On January 28, 2005, Christopher Siano, of Fair Lawn, was hired as a police officer. With the hiring of Officer Siano, the department had 57 officers. On July 22, 2005, four new officers were sworn in. Sean Nagle, Michael Franco, Sean Macys, and Timothy O’Shaughnessy became the newest members of the F.L.P.D. The four new officers have begun training at the Bergen County Law and Public Safety Institute with an expected graduation date of December 2005. Michael Franco is the son of the Fair Lawn Police Department’s Traffic Safety Officer Timothy Franco and Sean Macys is the son of retired Fair Lawn Police Sergeant George Macys. With the hiring of these new officers, the department had 61 officers. On October 1, 2005, Sgt. Robert Boyle, Fair Lawn Police Department’s Community Policing/Traffic supervisor retired and Sgt. Derek Bastinck was assigned as the new CP/Traffic supervisor. On August 5, Officer Brian LaRosa was given the position of interim sergeant, to fill the supervisor vacancy made by the retiring Sgt. Boyle. Sgt. LaRosa will be remain in the Operations Division as a supervisor. He was permanently promoted to Sergeant September 30, 2005. On August 21, Sgt. John Annazone was assigned to the Detective Bureau. Det/Sgt. Annazone will replace Sgt. Bastinck, who was reassigned to Community Policing. 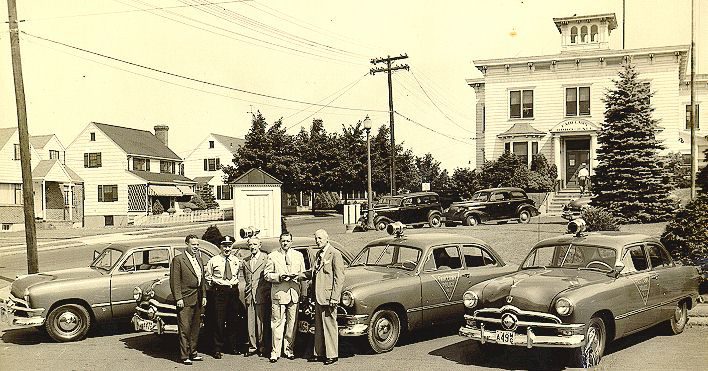 On October 1, 2005, the Fair Lawn Police Department turned 75 years old. On October 25, 2005, the Fair Lawn Police Department held an “Open House” in recognition of the Department’s 75th Anniversary. On January 31, 2006, three new officers were sworn in. Eric Eleshewich, Kenneth Cavanagh, and Anthony Lugo became the newest members of the F.L.P.D. The 3 new officers began training at the Bergen County Law and Public Safety Institute with an expected graduation date of June 2006. These 3 officers were hired to replace P.O. Tovbin (who resigned to accept a position with the Bergen County Police) and two retirements scheduled for late 2006. With the hiring of these new officers, the department had 61 officers. On April 2, 2006, the Fair Lawn Police Department began their Traffic and Quality of Life squad. P.O. Louis Failla and P.O. Mark Wyka were assigned to the squad. On July 6, 2006, Jeffrey Miller, Michele Luscombe, Joseph Cecere, and Manan Naik were hired as police dispatchers bringing the total number of dispatchers to 9. This was an addition of 1 to each shift with the intent to rely less on police officers for dispatching duty. On July 11, 2006, P.O. Sara Toro resigned to accept a position with the Bergen County Police. With the resignation of P.O. Toro, the department had 60 officers. On August 1, 2006, P.O. Steven Cannizzaro retired. P.O. Cannizzaro had been assigned to cross school children across Route 4 at 30th Street (a post he had held for the past 5 years). The entire Warren Point school hosted a “Goodbye Officer Steve” party in June 2006 where the WP band played and the entire school sang for him. P.O. Cannizzaro was presented with a goodbye card from each student and Principal McGinnis presented him with a plaque. With the retirement of P.O. Cannizzaro, the department had 59 officers. On September 15, 2006, P.O. Jeffrey Blumenfeld retired. P.O. Blumenfeld had worked patrol throughout his career and spent his last year in the Traffic Division. P.O. Blumenfeld was also a firearms officer. With the retirement of P.O. Blumenfeld, the department had 58 officers. On November 09, 2006, the Fair Lawn Police Department hired Officer Mark Roskowsky through the New Jersey Intergovernmental Transfer Program. Officer Roskowsky had previously worked for the Jefferson Township Police Department. Officer Roskowsky, the son of retired Detective Anthony Roskowsky, brought the force to 59 officers. D/Capt. Anthony Serrao – Certificate of Commendation; Capt. Joseph Cook- Exceptional Service, Certificate of Commendation; D/Lt. William Yirce- Exceptional Service, Certificate of Commendation; Lt. Richard Goetz- Exceptional Service; Lt. Robert Kneer – Honorable Service; Sgt. Michael Uttel- Exceptional Service; D/Sgt. Michael Messina – Certificate of Commendation(4); Sgt. Richard Schultz – Exceptional Service, Educational Achievement, Certificate of Commendation; D/Sgt. John Annazone – Certificate of Commendation; Sgt. Derek Bastinck- Exceptional Service, Educational Achievement; Sgt. Brian Metzler- Exceptional Service, Certificate of Commendation(2); Sgt. Brian La Rosa – Certificate of Commendation; Det. John Ietto – Certificate of Commendation(5); P.O. Hiram Taylor – Honorable Service; P.O. Louis Evangelista – Honorable Service, Certificate of Commendation(4); P.O. Stephen Wassel – Honorable Service, Certificate of Commendation; P.O. Glen Callons- Exceptional Service; Det. Steven Cannici – Certificate of Commendation; Det. Anthony Ferreira – Certificate of Commendation; Det. Jeffrey Welsh – Certificate of Commendation(3); Det. David Boone – Certificate of Commendation, Exceptional Service; P.O. Lonnie Mergler- Exceptional Service, Certificate of Commendation; P.O. Thomas Check – Certificate of Commendation; P.O. Karen Censullo – Certificate of Commendation; P.O. Edward Egan – Honorable Service, Certificate of Commendation(2); P.O. Joseph Mecionis – Life Saving; P.O. Mark Wyka – Certificate of Commendation(4); P.O. Paul Scott – Exceptional Service; Det. James Corcoran – Exceptional Service, Certificate of Commendation(4); P.O. Gerard Graziano- Exceptional Service, Certificate of Commendation; P.O. James Krizek- Exceptional Service, Certificate of Commendation(3); P.O. Michael O’Brien – Honorable Service; P.O. Ian Manelis – Certificate of Commendation; P.O. Kevin Wood – Honorable Service, Certificate of Commendation; P.O. Paul Donohue – Certificate of Commendation(3); P.O. Luis Vasquez – Honorable Service, Certificate of Commendation(2); P.O. Sean Macys – Meritorious Service, Certificate of Commendation; P.O. Sean Nagle – Honorable Service, Educational Achievement; P.O. Timothy O’Shaughnessy – Meritorious Service; Disp. Stephen Buskiewicz – Certificate of Commendation; Disp. Brian Rypkema – Certificate of Cemmendation(2). 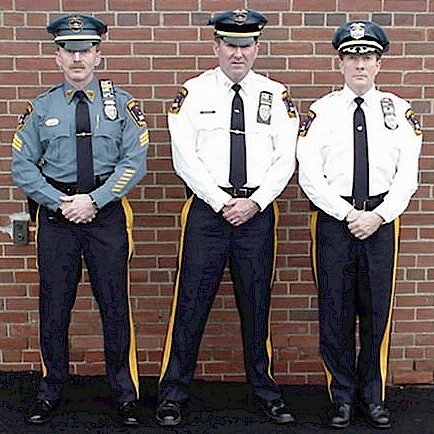 On January 30, 2007, three new police officers were sworn in. Robert Manning, Brian Rypkema, and Stephen Buskiewicz became the newest members of the F.L.P.D. The 3 new officers will begin training at the Bergen County Law and Public Safety Institute in Mahwah shortly after a short agency orientation period with an expected graduation of June 2007. 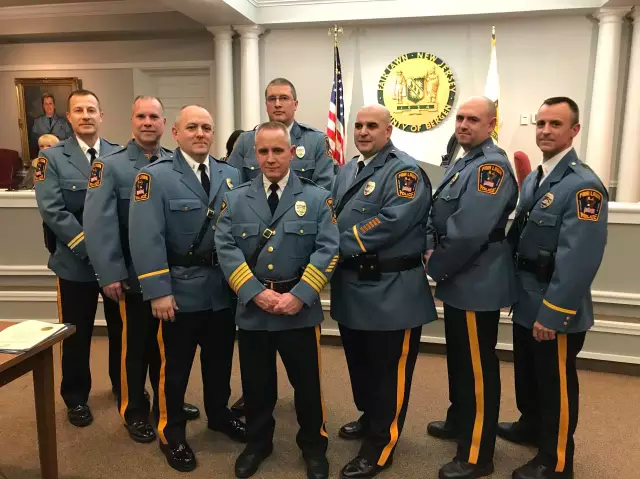 After graduating from the Basic Police Training Course, they will undergo additional training with a Fair Lawn field-training officer for three to four months before being assigned to a patrol shift. With the addition of these new officers, the department increased in size to 62 officers. July 2007 – Officer Mark Wyka was chosen as Fair Lawn’s first School Resource Officer. SRO Wyka was assigned to Fair Lawn High School effective September 2007. On July 19, 2007, two new police officers were sworn in. Robert Iozzia and Christopher Sullivan became the newest members of the F.L.P.D. The 2 new officers will begin training at the Bergen County Law and Public Safety Institute in Mahwah with an expected graduation of December 2007. 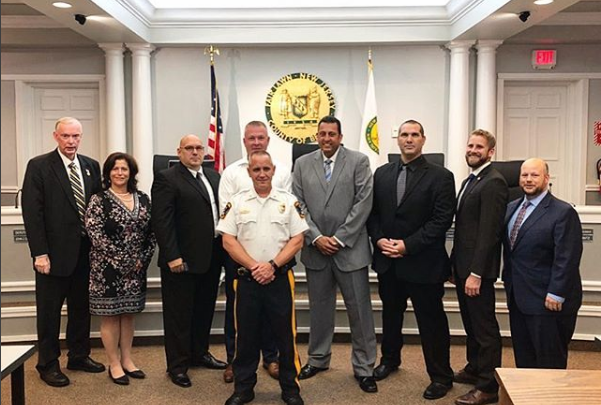 After graduating from the Basic Police Training Course, they will undergo additional training with a Fair Lawn field-training officer for three to four months before being assigned to a patrol shift. With the addition of these new officers (and in anticipation of the resignation of a current officer) the department had 64 officers. On December 20, 2007, P.O. Chan resigned to accept a position with the Bergen County Police, bringing the size of the department to 63 officers. On January 29, 2008, Justin Garcia, a 22 year old lifelong resident of Fair Lawn, was sworn in as Fair Lawn’s newest police officer. With the hiring of P.O. Garcia, the department had 64 officers. On March 11, 2008, Fair Lawn Police Department employees received 14 awards for their work. The following officers and dispatchers were honored during the Borough Council meeting: D/Sergeant Michael Uttel – Honorable Service; Det. John Ietto – Certificate of Commendation; P.O. Louis Evangelista – Certificate of Commendation; P.O. Edward Egan – Honorable Service and – Certificate of Commendation; P.O. Thomas Check – Exceptional Duty; P.O. Sean Macys – Honorable Service(2); P.O. Peter Yuskaitis – Certificate of Commendation; P.O. Eric Leitman – Exceptional Duty; P.O. Luis Vasquez – Certificate of Commendation and Golden Dog Bone Award; Det. Jeff Welsh – Certificate of Commendation; Det. James Corcoran – Certificate of Commendation. On December 31, 2008, Officer John Ietto and Lt. William Yirce retire, each with 30 years of service. With the retirement of these two officers, the department had 62 officers. On January 22, 2009, the Fair Lawn Police Department swore in Alan Annazone as Fair Lawn’s newest police officer. Mr. Annazone will be filling a vacancy left by a recent retirement. Mr. Annazone is a long time resident of Fair Lawn. He graduated from Fair Lawn High School and has attended Bergen Community College, Sacred Heart University (CT), and Montclair State University. After a short agency orientation period, Officer A. Annazone will begin training at the Bergen County Law and Public Safety Institute in Mahwah. He is expected to graduate from the academy in June 2009. After graduating from the Basic Police Training Course, he will undergo additional training with a Fair Lawn Police Department field-training officer for three to four months before being assigned to a patrol shift. 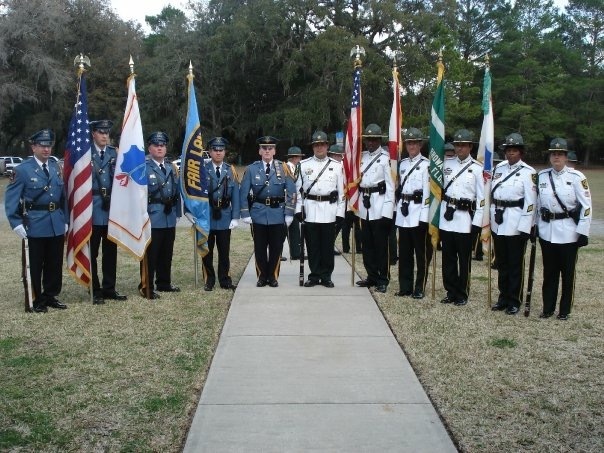 In February 2009, members of the FLPD paid their respects to Hernando County Florida Sheriff's Captain Scott Bierwiler. Capt. Bierwiler was killed in the line of duty in a motor vehicle collision by an actor driving a stolen automobile. Capt. Bierwiler was part of the team of Deputies from the Hernando County & Sumter County Sheriff's Departments in Florida who were involved in the shootout with FLPD Officer Mary Ann Collura's murderer. The FLPD will never forget Capt. Bierwiler and both Sheriff's Departments assistance in our time of need. 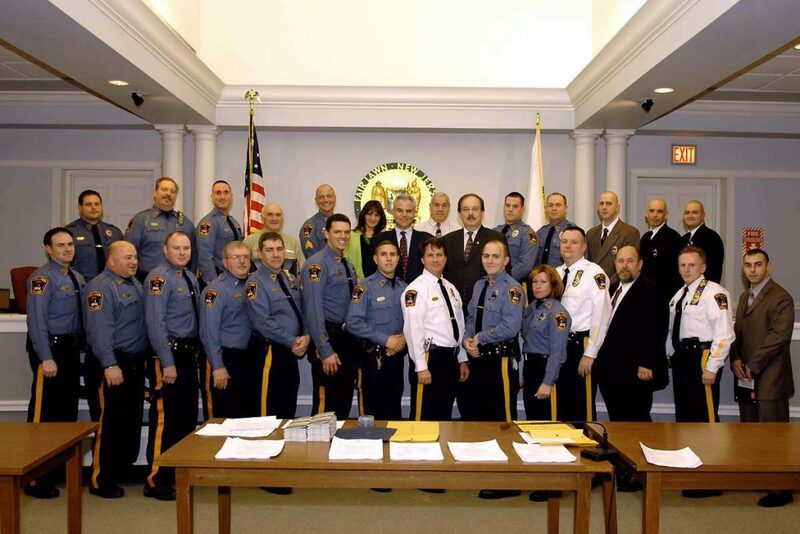 June 16, 2009, Thirty seven Fair Lawn Police Department employees received 55 awards for their work. The following officers and dispatchers were honored during the Borough Council meeting: Sgt. Carmine Moscatello, D/Sgt Michael Uttel, Det. Jeffrey Welsh, P.O. Anthony Lugo, Det. Stephen Cannici, and Det. Anthony Ferreira each received an Exceptional Duty Award; P.O. Paul Donohue received an Honorable Service Award. Certificates of commendation were awarded to: D/Capt. Anthony Serrao, D/Sgt. Michael Uttel, Sgt. Richard Schultz, D/Sgt. John Annazone, Det. David Boone (2), Det. James Corcoran (3), P.O. Thomas Check (2), P.O. Eric Eleshewich, P.O. Louis Evangelista (2), P.O. Justin Garcia (2), P.O. Gerard Graziano, P.O. William Hickey, P.O. James Krizek, P.O. Eric Leitman, P.O. Sean Macys, P.O. Robert Manning (2), P.O. Lonnie Mergler (2), P.O. Michael O’Brien, P.O. Timothy O’Shaughnessy (2), P.O. Christopher Siano (2), P.O. Brian Simpson, P.O. Christopher Sullivan, P.O. Hiram Taylor, P.O. Luis Vasquez (2), Det. Jeffrey Welsh (2), P.O. Kevin Wood (2), Det. Peter Yuskaitis (3), Disp. Joseph Cecere, Disp. Betty Dirienzo, Disp. Andrew Flax (2), Records Clerk Nicholas Magarelli, Aux. Police Officer Thomas Spear. June 16, 2009, Two Fair Lawn Police Officers were promoted at a meeting of the Fair Lawn Mayor and Council. 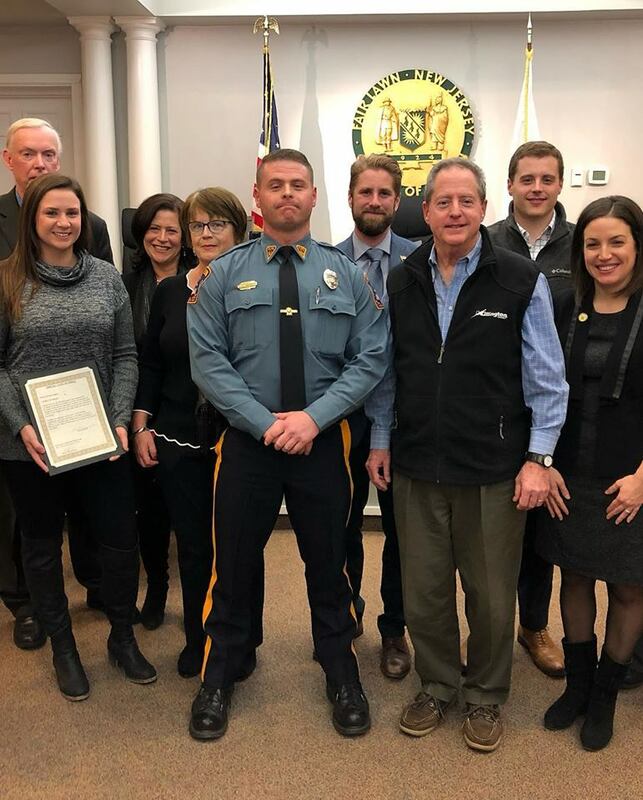 The officers were selected from a promotional list from the New Jersey Department of Personnel by Borough Manager Joanne Kwasniewski upon recommendation of Chief Erik Rose of the Fair Lawn Police Department. Sgt. Ronald Patterson was promoted to Lieutenant. Lt. Ronald Patterson is a 14 year veteran of the Fair Lawn Police Department. In his 14 years, Lt. Patterson has helped facilitate the DARE program at both Thomas Jefferson and Memorial Middle Schools. As a Sergeant, Lt. Patterson worked as a road supervisor as well as Headquarters tour commander for day to day operations inside the police department. Lt. Patterson has also been active in the N.J. Special Olympics Torch Run which generates funding for special needs residents here in New Jersey. Lt. Ronald Patterson is a graduate of University of Scranton (Pa.) where he received a B.A. in history and a B.S. degree in Criminal Justice. P.O. James Corcoran was promoted to Sergeant. Sgt. James Corcoran is a 9 year veteran of the Fair Lawn Police Department. During his nine years Sgt. Corcoran has worked as a narcotics officer assigned to the Fair Lawn Police Detective Bureau. During his experience with the detective bureau, Sgt. Corcoran worked on assignment with both the Bergen and Passaic County Narcotics Task Force Units. Sgt Corcoran also worked joint investigations with federal agencies including the FBI, DEA, ATF, U.S. Postal Service as well as the Office of Homeland Security and Customs Agency. Prior to becoming a police officer Sgt James Corcoran served 2 years with the 82nd Airborne Division. June 17, 2009, Lt. Glen Cauwels was reassigned to Technical Services and newly promoted Lt. Patterson was assigned as a tour commander, assuming responsibility for the platoon previously run by Lt. Cauwels. August 18, 2009, the Fair Lawn Police Department swore in Robert Mader as Fair Lawn’s newest police officer. Mr. Mader will be filling a vacancy left by a recent retirement. Officer Mader, a Fair Lawn resident, was born in Ridgewood and graduated from Eastern Christian High School. He has served 4 years in the United States Air Force and is a veteran of the Iraq War. Prior to joining the Fair Lawn Police Department, Officer Mader was employed by Cummins Power System as a diesel engine technician.After a short agency orientation period, Officer Mader will begin training at the Bergen County Law and Public Safety Institute in Mahwah. He is expected to graduate from the academy in January 2010. After graduating from the Basic Police Training Course, he will undergo additional training with a Fair Lawn Police Department field-training officer for three to four months before being assigned to a patrol shift. February 28, 2010 – P.O. Justin Garcia resigns from the Fair Lawn Police Department bringing down the sworn strength to 62 officers. June 2010… Sergeants Carmine Moscatello and John Annazone retire bringing the sworn strength to 60 officers. September 1, 2010 – Due to the Borough’s finances, Robert Iozzia, Christopher Sullivan, Alan Annazone, and Robert Mader were laid off from their positions as Fair Lawn police officers bringing the sworn strength down to 56 officers. October 1, 2010 – Lt. Richard Goetz retires bringing the sworn strength down to 55 officers. October 1, 2010 – F.L.P.D makes 8 promotions. Lieutenant Glen Cauwels was promoted to Captain, Sergeants Michael Uttel, Derek Bastinck, and Brian LaRosa were promoted to Lieutenant, and police officers Joseph Dawicki, James Krizek, Eric Leitman, and Paul Scott were promoted to Sergeant. Capt. Cauwels is assigned as the Administrative Division Commander; Lt. Uttel is assigned as the Detective Bureau Commander; Lt. Bastinck and lt. LaRosa are assigned as Platoon Commanders; Sergeants Dawicki, Krizek, Leitman, and Scott are assigned as Shift Sergeants. Additionally, Sgt. Schultz was reassigned as the CP/Traffic Supervisor, Sgt. Brian Metzler was assigned as a Detective Bureau Supervisor, and Lt. Ronald Patterson was assigned as Accreditation Manager. November 1, 2010 – After 30 years of service to the Borough of Fair Lawn Police Department, Detective Captain Anthony Serrao retired. Detective Captain Serrao started his career in 1980 as a patrol officer. He was promoted to sergeant in 1988, lieutenant in 1996 and captain in 1999. Detective Captain Serrao served in both the patrol division and the detective bureau. Detective Captain Anthony Serrao also had the honor of attending the FBI National Academy in 2004. Upon his retirement, he will be working in the private security sector. With D/Capt. Serrao’s retirement, the sworn strength of the F.L.P.D was 54 officers. August 1, 2011 – Officer Glen Callons retires after serving 25 years with the F.L.P.D. Officer Callons had spent the bulk of his career working in the Community Policing Bureau and being a D.A.R.E. officer. With Officer Callons’ retirement, the sworn strength of the F.L.P.D is 53 officers. On August 8, 2011, the Fair Lawn Police Department swore in Alan Annazone as Fair Lawn’s newest police officer. Officer Annazone was rehired after a lay off. With his rehiring, the department’s sworn strength is a 54 officers. On November 1, 2011, Sgt. Michael Messina retired from the FLPD, bringing the department’s sworn strength down to 53 officers. On November 22, 2011, Officer Lonnie Mergler was promoted to sergeant and the department hired new police officers Juan Rodriguez and Luke Hintzen. Both were transfers from the Paterson Police Dept. The added manpower brings the department to 55 members. July 17, 2012, Detective Anthony Ferreira is promoted to Detective Sergeant. On June 29, 2012 Officer Juan Rodriguez resigns his position to return to the Paterson Police Department. This brings down the departments manpower to 54. On September 11, 2012, Officer Anthony Burgos is hired. Burgos, a former Paterson Police Officer, once again brings the department manpower up to 55. November 22, 2011 – The Mayor and Council promote Lonnie Mergler to Sergeant. He will assigned as a Patrol Supervisor. November 27, 2012 –Capt. Joseph Cook steps down from his duty as webmaster of the FLPD and passes it along to PO Stephen Buskiewicz. January 10, 2013 – With the expected hiring of 3 recruits, the Department restores its Traffic Safety Unit. P.O. Louis Failla was reassigned from patrol to resume his previous duties as the crossing guard at the Warren Point School as well as traffic enforcement when not doing his crossing duty. P.O. Check has been assigned to the unit and along with Sgt. Schultz will assist TSO Franco with reviewing crash reports as well as traffic enforcement on the roadways. January 16, 2013 – With expected retirements in the coming years, the Borough of Fair Lawn gave the green light to hire 3 Fair Lawn residents. Christopher O’Shaughnessy, Nicholas Snyder and John Rovetto were sworn in to become the first group of new recruits since 2007. With these new recruits the Department manpower is now at 58. February 28, 2013 – Captain Joseph Cook retires. Manpower is at 57. March 10, 2013 – Chief Erik Rose announces his retirement after completing 30 years of service with the Borough of Fair Lawn. Chief Rose uses accrued time and will officially retire as Chief of Department on December 31, 2013. Capt. Glen Cauwels was selected to act as Interim Chief until there is an official appointment to that position. March 19, 2013 – The Borough of Fair Lawn makes promotions. Lt. Robert V. Kneer was officially sworn in as Captain. He replaces the Patrol Captain position which was previously held by Capt. Joseph Cook. Lieutenant Ronald Patterson will serve as Acting Captain replacing Capt. Cauwels. Sergeant James Corcoran was promoted to Patrol Lieutenant replacing Lieutenant Brian LaRosa, who will be reassigned as the Accreditation Coordinator. Sgt. Joseph Dawicki was assigned as Acting Lieutenant replacing Capt. Kneer’s patrol shift. Detective Timothy O’Shaughnessy was promoted to Patrol Sergeant. August 20, 2013 – The Mayor and Council swear in Peter Federico. PO Federico transferred from the Paterson Police Dept. Also sworn in was PO Juan Rodriguez, who returned to the FLPD. January 2, 2014 – The Mayor and Council officially promoted Glen Cauwels to Chief of Department, Ronald Patterson to Administrative Captain and Joseph Dawicki to Lieutenant. October 14, 2014 – The Mayor and Council promoted Kenneth Cavanagh and Sean Macys to Sergeant. They will both be assigned as Patrol Supervisors. June 30, 2015 – The Mayor and Council swear in John Kelly. PO Kelly previously served with the Paterson Police Dept. With the addition of PO Kelly the manpower is at 56. July 21, 2015 – The Mayor and Council swear in three new police recruits. Fair Lawn residents Timothy Ammann, Anthony Ferriera Jr., and Juan Hinojosa join the ranks of FLPD’s finest. Upon successful completion of the police academy and field training they will boost the ranks to 59 officers. August 1, 2015 – PO Hiram Taylor retires from the Fair Lawn Police Dept after 35 years. PO Taylor joined the ranks of the FLPD on September 4, 1980. December 8, 2015 – The Mayor and Council swear in Brian Goodson. Goodson is a graduate of Paterson Catholic High School. He served with the United States Marine Corps from 1998 to 2002 and is a veteran of Operation Desert Shield. In addition to being a veteran, Goodson was a corrections officer with the Passaic County Sherriff’s Department in 2003. He joined the Paterson Police Department in 2005, where he was serving on the Emergency Response Team prior to coming to Fair Lawn. With PO Goodson the Department remains at 58 officers. December 31, 2015 – Lt. Michael Uttel (25 yrs. ), P.O. Tim Franco (33 yrs. ), P.O. Louis Evangelista (30 yrs.) and Det. David Boone (25 yrs.) officially retire. A combined 113 years of experience from patrol to the detective bureau. We wish all of you the best and thank you for your service. With these retirements the department drops to 56 officers. January 27, 2016 – The Mayor and Council swear in Tiller Uriarte, Geovanny Buitron, and Michael Van Ness to the department. Uriarte will undergo a brief training period as he has prior law enforcement training. Buitron and Van Ness will undergo 6 months of training at the Bergen County Police Academy in Mahwah. The departments’ manpower is again up to 59 officers. May 5, 2016 – The Mayor and Council swear in Javier Gutierrez to the department. Gutierrez will undergo a brief training period as he previously served many years in the Paterson Police Department. The departments’ manpower is again up to 60 officers. June 1, 2016 – Det. Jeff Welsh retires after 25 years of service. We wish you the best and thank you for your service. The departments’ manpower is at 59 officers. September 1, 2016 – The Mayor and Council swear in Justin DiGuglielmo and Thomas Spear to the department. DiGuglielmo will undergo a brief training period as he has prior law enforcement training. Spear will undergo 6 months of training at the Passaic County Police Academy in Paterson. The departments’ manpower is up to 61 officers. October 31, 2016 – Sgt. Lonnie Mergler retires after 25 years. We wish you the best on your retirement and thank you for your service. The departments’ manpower is at 60 officers. January 1, 2017 – After 66 years, the Fair Lawn Auxiliary Police were disbanded and officially placed under the control of the Police Department. 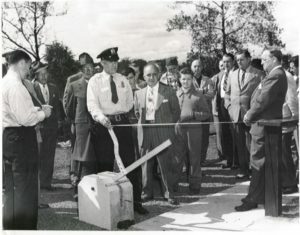 The “Auxiliaries” were previously under the control of Emergency Management since the early Civil Defense days in the 1950’s. The new Fair Lawn Special Police was formed with 15 of the previous auxiliaries, having been certified as a Special Class I Officer. A Class I officer has limited police powers and can issue summonses, however they do not carry firearms. These officers will be used to assist our main Police Officers with emergency traffic details, special events, court security and patrol duties. January 24, 2017 – The Mayor and Council officially promote Kevin Wood to Sergeant. Sgt. Wood has been with the FLPD since 2003 and served in the Patrol Division. He will now be assigned as a Patrol Supervisor. September 15, 2017 – The Fair Lawn Police Dept. Patrol Division and the Borough approve to change their current shifts from an 8 hour day to a 12 hour day. As long back as recorded history goes, FLPD Officers have worked an 8 hour day. November 1, 2017 – The Mayor and Council swear in Officer Chris Sullivan. Officer Sullivan started his career with the Fair Lawn Police in 2007 but was later part of the lay-offs along with 3 other officers in 2010. He was later picked up by the Bergen County Police Department where he was assigned in the patrol division and was a member of the SWAT team. He was later merged into the Bergen County Sheriffs Office and subsequently laid off. After a short re-familiarization of Department policies he will be assigned to the Patrol Division. December 29, 2017 – Capt. Kneer retires after 44 ½ years of service to the Borough. Capt. Kneer was a United States Marine Corps Veteran and a founding member of the Bergen County Rapid Deployment Force. He also commanded the FLPD Honor Guard for decades. March 1, 2018 – The Mayor and Council promoted Brian LaRosa and Joseph Dawicki to Captain, Paul Scott, Timothy O’Shaughnessy and James Krizek to Lieutenant, and Peter Yuskaitis to Sergeant. Captain LaRosa will be the Administrative Division Commander and Captain Dawicki will be the Patrol Division Commander. Lt. Scott will assume command of a Patrol shift with Sgt. Yuskaitis as a Patrol Sergeant, and Lt. Krizek will be the Accreditation Manager & FTO Coordinator. 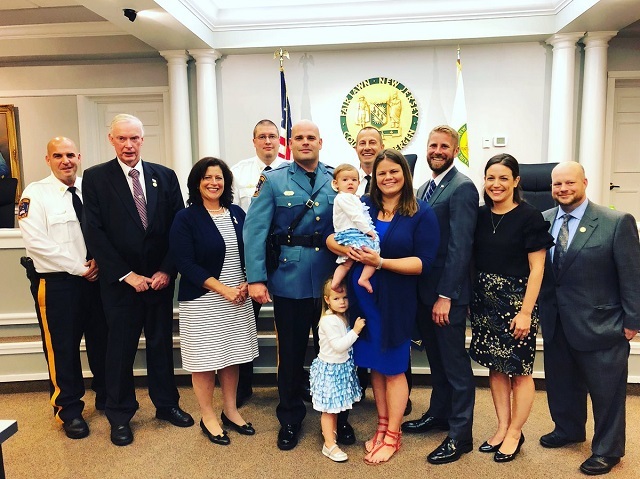 May 16, 2018 – The Mayor and Council swear in Officer Robert Iozzia. Officer Iozzia started his career with the Fair Lawn Police in 2007 but was later part of the lay-offs along with 3 other officers in 2010. He was later hired by the Morristown NJ Police Department. Officer Iozzia is a United States Army Veteran and will be assigned to the Patrol Division. July 5, 2018 - The Mayor and Council promote Nick Snyder to Sergeant. Sgt. Snyder has served with the FLPD since 2013. Sgt. Snyder is assigned to the Patrol Division. June 30, 2018 - Sgt. Anthony Ferreira retires after nearly 30 years of service to the FLPD. Sgt. Ferreira served for many years as the Property & Evidence Officer, and also as a Patrol Sergeant. July 27, 2018 - PO Louis Failla retires after 25 years of service to the FLPD. PO Failla served in the Traffic Division for many years as the Police Crossing Guard for Warren Point Elementary School. 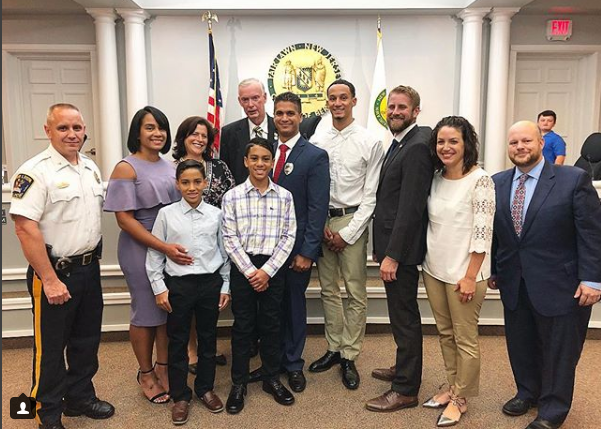 August 14, 2018 - The Mayor & Council swear in Officer Miguel Cruz and 4 new Class III Officers, Mike Figueroa, Tom Smith, Rafael Marcano, and Bryan DiPasquale. Officer Cruz was a Paterson PD Officer for 16 years and served on the SWAT team and also with the K9 unit. The Class III Officers will be tasked with providing middle and elementary school security. September 10, 2018 - It is with heavy hearts that the Fair Lawn Police Department announced the death of Police Officer Edward J. Egan. Police Officer Egan served proudly with this Department for nearly 20 years, and was still serving at the time of his death. 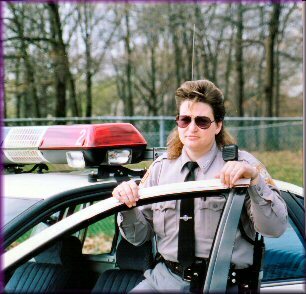 Police Officer Egan also worked for several years for the NJDOC in East Jerset State Prison, Rahway. Thank you to all who joined us in honoring our beloved colleague. 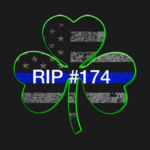 Police Officer Egan will always be remembered by the Fair Lawn Police Department. December 18, 2018 - The Mayor and Council swear in Officer Brad Pindyck. Officer Pindyck was a 5 year Veteran of the Vernon Police Department, and a 9 year United States Marine Corps Veteran who proudly served in Iraq. Officer Pindyck will be assigned to the Patrol Division. 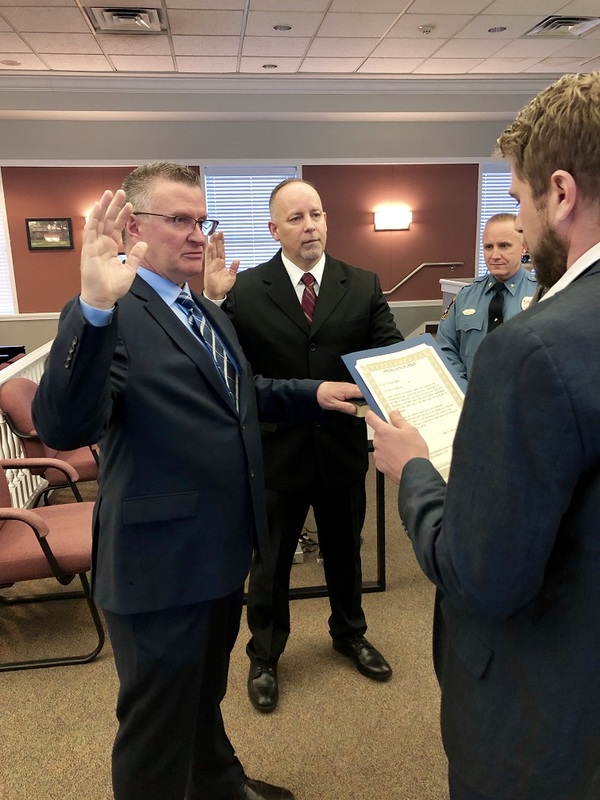 March 27, 2019 - The Mayor swore in two new substitute Class III Officers, Rory Buchanan, and Jose Arroyo, left to right. Both officers will be tasked with providing middle and elementary school security.